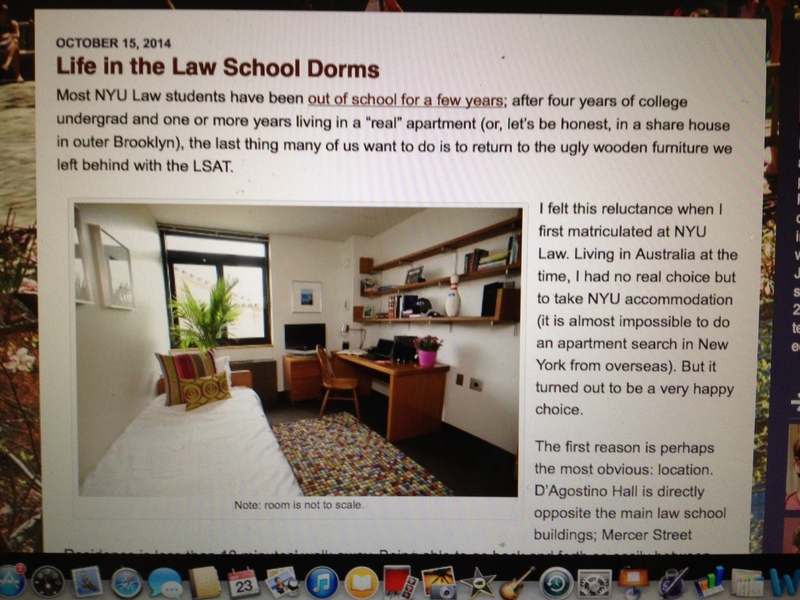 This morning I clicked on a Facebook posting from New York University, my legal alma mater, to a short piece about dorm living for law students. A photo of one of the NYU Law dorm rooms (see below) reminded me once again that many universities have upgraded their residence hall accommodations considerably since back in the day, especially in terms of private rooms and bathrooms. (Of course, this has contributed significantly to rising tuition costs, but that’s for a more serious post….) In any event, the article sent me into a brief trip down nostalgia lane. In many ways, dorm living tends to look better mainly with the passage of time, at least when it comes to furniture, décor, and creature comforts. During college at Valparaiso University in Indiana, I lived in dorm rooms throughout my stay, first in Wehrenberg Hall, and then in Brandt Hall, two rather plain vanilla buildings built sometime during the 50s or 60s. The VU dorms were typical of undergraduate dwellings of their era, offering small shared rooms with pullout beds and bathrooms down the hall. During my last year of college, I qualified for a shared Brandt Hall first-floor room with a private bathroom, a nod to the fact that I was a good student who managed to stay out of trouble. In the photo above, I’m standing in front of my desk. The boxes and papers to the right obscure the mattress of the pullout bed. I was packing my boxes at the end of the fall semester of my senior year, in anticipation of departing after the holidays for a final semester in England. My roommate Chris’s furniture configuration was exactly the same, the main difference being that he was a very disciplined and neat pre-med student who periodically and politely would push my growing piles of books and papers to my side of the invisible Mason-Dixon Line, as we jokingly called it. 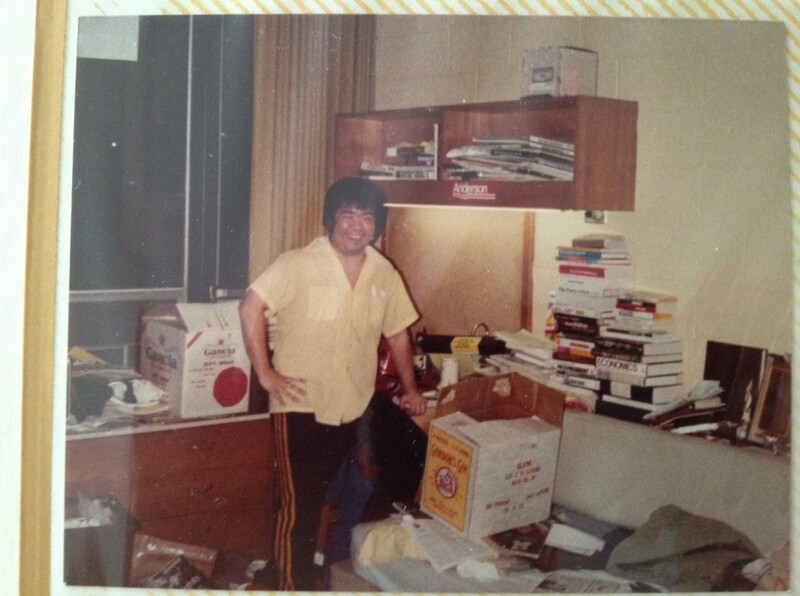 Every evening, when Chris would dutifully turn in after watching the Johnny Carson monologue, I would gather my books, papers, and — if necessary — typewriter to join other more nocturnal students in the cafeteria, which served as a nighttime study hall. When I got to NYU in 1982, I had a much fancier address, Hayden Hall at 33 Washington Square West (yes, that Washington Square). The toney Greenwich Village exterior masked the spare accommodations similar to those of my collegiate days, with a few New York cockroaches tossed in as free bonuses. At the time, Hayden Hall was the primary dorm for first-year law students. A converted old hotel, it had a few interesting nooks and crannies in addition to the drab rooms. Its first floor cafeteria and TV room provided opportunities for breaks and socializing. I would spend my second and third years of law school living in NYU’s Mercer Street residence hall, a (then) brand-new building featuring small apartments with individual bedrooms and kitchenettes. While I didn’t do much cooking, the fridge and stove made it possible to store and heat up Chinese take-out and delivery morsels. With some physics-defying moving around of beds and furniture, apartment units could host pretty decent parties, replete with room for dancing to Michael Jackson, The Clash, and other 80s music artists. We also had waifs’ Thanksgiving and Christmas dinners for those of us too far or too broke to return home for the holidays. 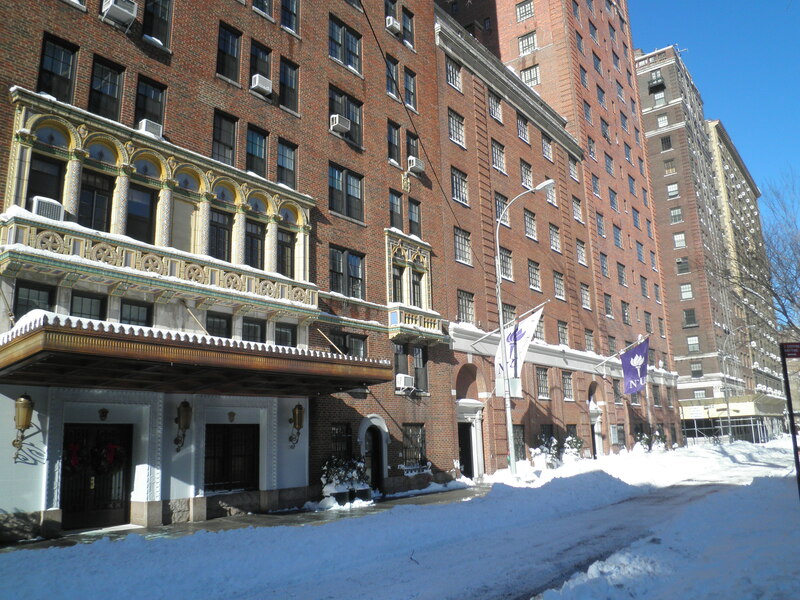 The Mercer dorm provided my nicest accommodations during 12 years in New York. In fact, they remained among my nicest digs ever until I moved into my Jamaica Plain, Boston condo in 2003. For the longest time, I was satisfied with a sort of enhanced “grad student” standard of living. It took me until well into adulthood to do an upgrade! Oh, wow, I can’t count the number of times I brought my typewriter to Brandt Hall late at night– usually on a Thursday to write a paper due on Friday. Thanks for helping dust off that memory! Ann, at least lugging those typewriters around served as a free form of exercise! You reminded me of having to determine both writing time and typing time, as at that point in my life, I couldn’t compose original academic work on a typewriter. I had to do a longhand draft first, do my revisions, and typing was merely to be able to hand it in! Sharon, for the life of me I cannot recall who took that pic! It may have been Don, or perhaps my roommate Chris. I think it’s unfortunate how much money schools are spending on these fancy living quarters, with the cost to be passed on to students. Living in shared space like that could be a challenge, but for the most part we managed.